My daughter is getting married in March. It is her second marriage as well as her fiancé’s second marriage, and we are wondering if it’s okay to register for gifts. They really wanted to go with HoneyFund for their honeymoon, but decided to also register for a few gifts at a retail store. In my research, however, I’ve read that it is not proper to ask for gifts, but if someone asks then you can share the couple’s registry information. Is that correct? You can put your mind at ease. 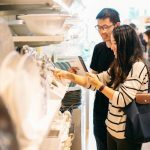 Your daughter may feel hesitant to create a wedding gift registry for her second marriage, but she can be assured that it is not at all a breach of etiquette. 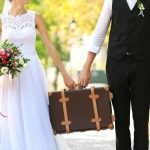 Most wedding guests will want to give a gift, so she will be helping them by providing a guide to what she and her future husband want and need. Traditions evolve, but the wedding gift is still a tradition that we enjoy. It’s a symbol of of the giver’s love and well wishes for the couple, and it helps the guest feel like a part of the celebration. What is changing are the types of gifts being given. 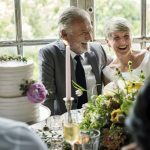 Now that more couples are living together and getting married for the second time, new wedding registry options have become more popular. So… it is totally fine if she wants to create a honeymoon registry and Honeyfund is a great choice. It’s also a good decision on her part to register at a separate retail store to make sure that she has gift options for all types of gift givers, including those that want to give a more traditional wedding gift. To address the second part of your question… you are correct. It’s never proper to ask for gifts, but if someone asks what the couple wants or where they are registered, you can certainly share the information at that time. Also remember that it is still a major faux pas (translation – tacky) to include any mention of gifts or registry on the wedding invitation or any other wedding correspondence, including save-the-dates. Wishing your daughter all the best! 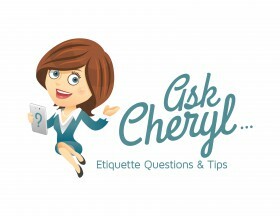 Ask Cheryl: Couple Requests Cash for their Honeymoon: To Give or Not to Give?